Now that Ronda Rousey has done her thang, AGAIN, it’s time for the UFC’s little brother to start promoting their next show. “Strikeforce: Melendez vs. Healy” takes place September 29th inside Power Balance Pavilion in Sacramento, California. To help generate buzz for the bash, Strikeforce has released a teaser to promote their upcoming card. 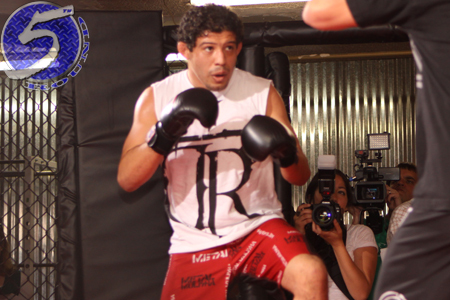 Lightweight king Gilbert Melendez (Pictured) will defend his crown against Pat Healy in the event’s featured attraction. Showtime broadcasts the main card beginning at 10PMET/PT.